BIRMINGHAM, Ala. — Influencer (INFLCR) founder and CEO Jim Cavale announced University of North Carolina Basketball as one of their newest partnership deals. “As one of the most followed college basketball teams in the country, our student-athletes have an equally large following and being able to provide them with on-demand content to brand themselves as tremendous students, elite athletes, and thoughtful citizens is one of our primary goals,” said Dana Reynolds, UNC’s director of social and digital media. 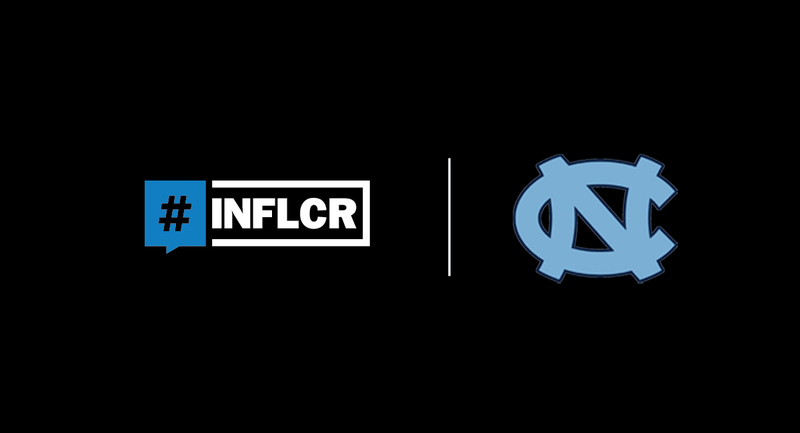 After activation in October, North Carolina Basketball players gained access to thousands of content-items produced by the university and accessed via the INFLCR mobile app. North Carolina players downloaded or shared more than 400 content items in the month, reaching an additional Instagram audience of more than 713,000 unique viewers for that content. North Carolina is the newest in a line of elite college basketball powers to be announced as an INFLCR partner, joining Kentucky, Kansas and Duke among others. Founded in 2017, INFLCR now serves clients from the ACC, SEC, Big Ten, Big 12, American, Mountain West, Conference USA and Sun Belt conferences. The INFLCR content delivery software platform helps clients like North Carolina distribute their internally-curated content into personalized galleries on each of the mobile devices of their athletes, coaches and other brand ambassadors, for them to access and share via their personal social-media platforms such as Facebook, Twitter and Instagram. UNC can then use their INFLCR dashboard and usage reports to track their “audience lift” via the much-larger collective audience of those brand ambassadors. “To have another big-time college basketball brand like North Carolina look to INFLCR to be the centerpiece of their social media and branding strategy is really special,” Cavale said. “We founded this business to help brands like Carolina reach exponentially more people by partnering with their brand ambassadors. We launched in college sports because we have a passion to help a brand like Carolina empower their student-athletes to grow personal brands they can leverage while they are at Carolina and long after they leave Carolina in whatever career they pursue. *If you’d like your team to experience the power of INFLCR, click here to set up a demo.